You might be surprised by what occupies Daniel Kahneman’s thoughts. “You seem to think that I think of bias all the time,” he tells esteemed economist Tyler Cowen. “I really don’t think of bias that much.” These days, noise might be the concept most on Kahneman’s mind. A forthcoming book, coauthored with Cass Sunstein and “a brilliant Frenchman you haven’t heard of” [Olivier Sibony] is about how random variability affects our decision-making. And while we’ve spent a lot of time studying how bias causes error in judgment, Kahneman says, we aren’t thinking nearly enough about the problem of noise. 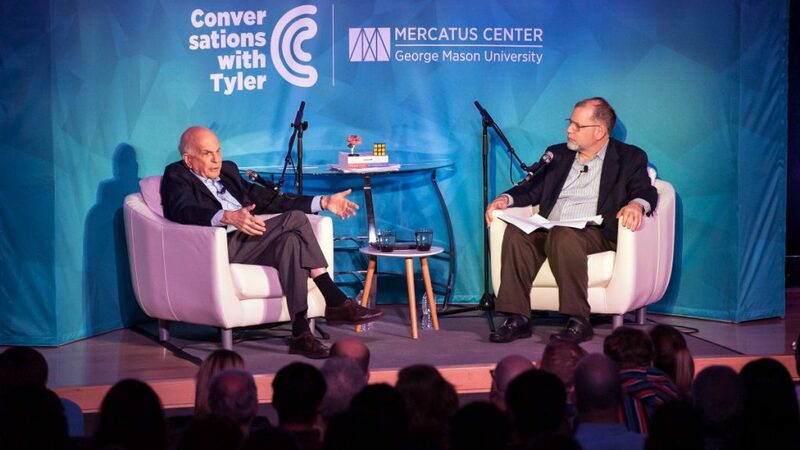 In November, Kahneman joined Tyler for a live conversation (available in podcast and transcript) about bias, noise and more, including happiness, memory, the replication crisis in psychology, advice to CEOs about improving decision-making, superforecasters, the influence of Freud, working in a second language, the value of intuition, and why he can’t help you win arguments with a spouse. COWEN: What will the main theme of that book be? KAHNEMAN: It will be that noise is an underestimated problem, and it will be that there is something deep about two ways of thinking that I was working on in Thinking, Fast and Slow, which I called statistical versus causal. Noise is clearly a statistical way of looking at things, and bias is inherently causal — so the interplay of those forms of thinking. Then the idea that if you want to reduce noise, we have a pretty good idea of what you should do in order to induce greater uniformity and to overcome the vulnerability of people to all sorts of irrelevant influences.